Street Fighter—Find The One Street Fighter You Don’t Have! – tagged "25-35" – IamRetro.com Street Fighter—Find The One Street Fighter You Don’t Have! 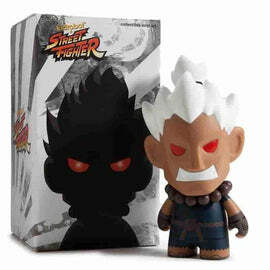 Take a walk down memory lane with our high-quality Street Fighter toys. Whether you are looking for the perfect Vinyl Figure or want a retro Street Fighter toy, we have everything your collection is missing. Check out our medium and mini figures to find the perfect fit for your collection. Our Street Fighter items are designed by a variety of companies, so choose your favorite and add it to make your collection everything you’ve dreamed it could be.